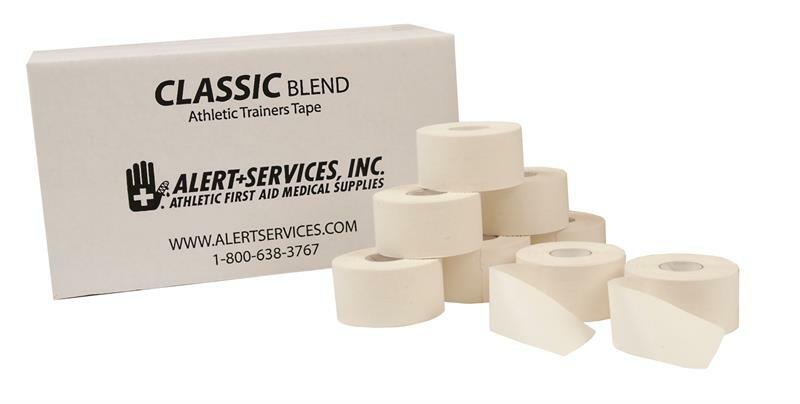 Alert Services Classic Blend Tape is our strongest and most economical athletic tape. A combination of a bleached blended back cloth and zinc oxide adhesive provides superior holding power and consistent unwind all the way to the core. 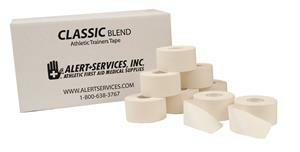 Available in 32 roll or 96 roll bulk case.